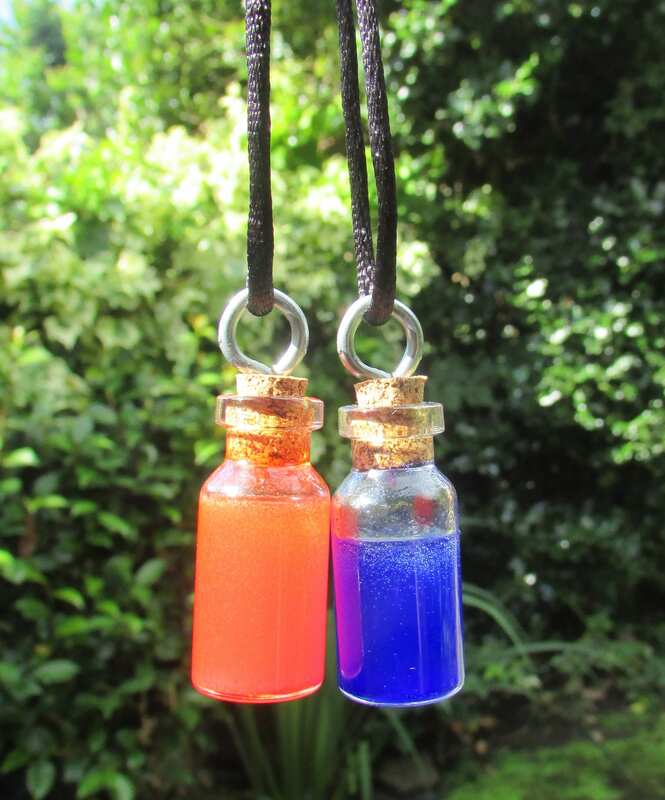 This pair of tiny glass potion bottles will sustain the the most dedicated gamer through the next campaign in style! 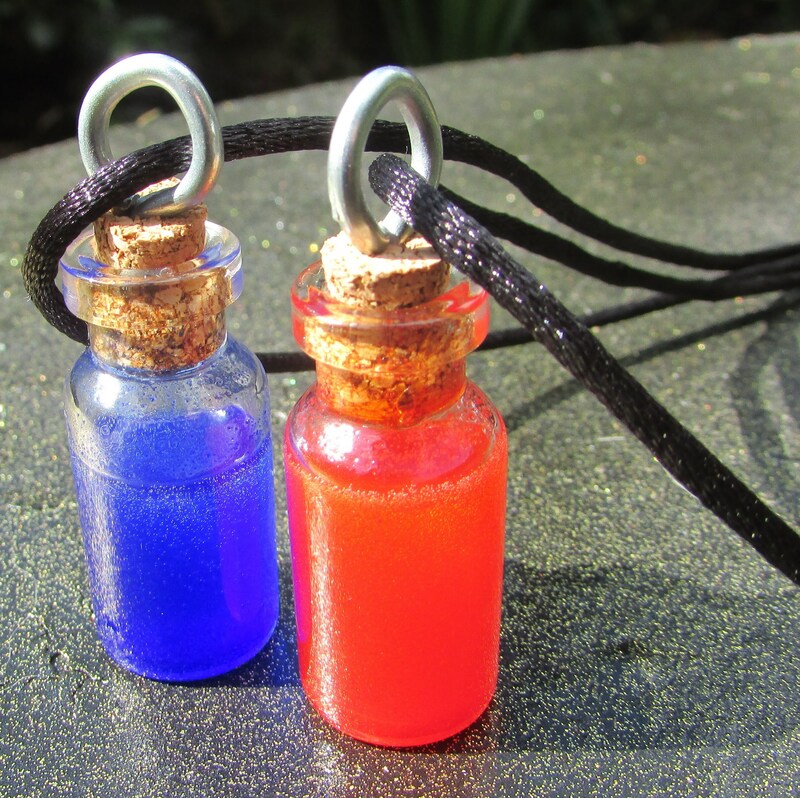 One each Health (red) and Mana (blue) bottles. 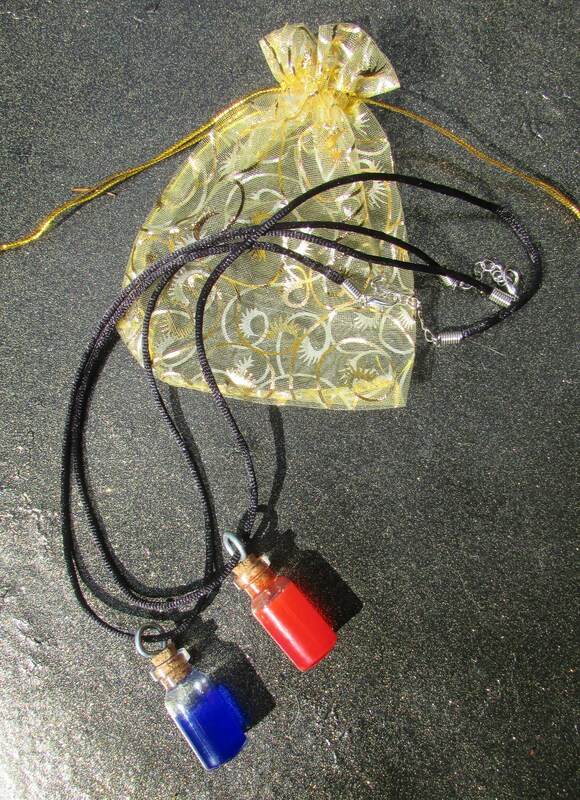 No fear of spills as the 'potion' is clear-set hard resin rather than liquid.